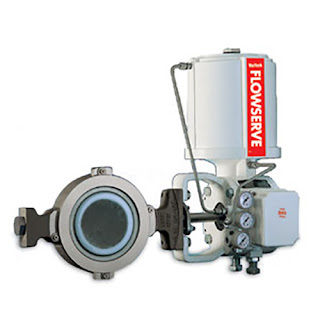 There are numerous manufacturers of severe service or high performance valves, each with specialized product offerings focusing on a particular performance niche. Flowserve, under their Valtek brand, manufactures the Valdisk high performance butterfly valves ranging from NPS 2-52 and ASME class 150, 300, 600, 900, 1500 pressure ranges. The valve design is ideal for manual or automated actuation, installed with a manual hand gear, electric actuator, or a pneumatic actuator. Seats are available as soft or metal on this double offset butterfly valve that provides tight closure for bi-directional flow. Construction materials include carbon steel and stainless steel. A range of options and variants are available to customize the valve build to suit a replacement or new installation. There is more information available about the Valtek high performance offering. You can always get more information and discuss your special requirements with a valve specialist. They have application experience and access to technical resources that can help with selecting the right valve components to meet your severe service and high performance applications.